1. 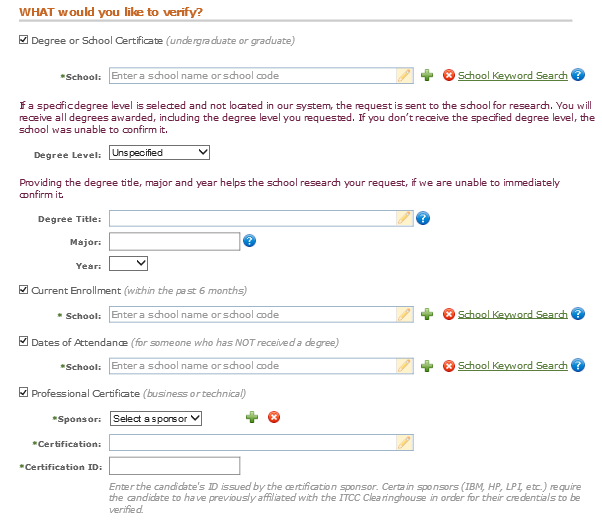 Check the verification type under “WHAT would you like to verify?” Selecting an option will automatically generate extra fields, where you can enter the name of the school, dates attended, etc. 2. Check more than one box, if you’d like to perform more than one verification type. Verification Services enables you to perform up to three of each type of verification for a single student at one time. Required fields are marked with an asterisk (*). 3. 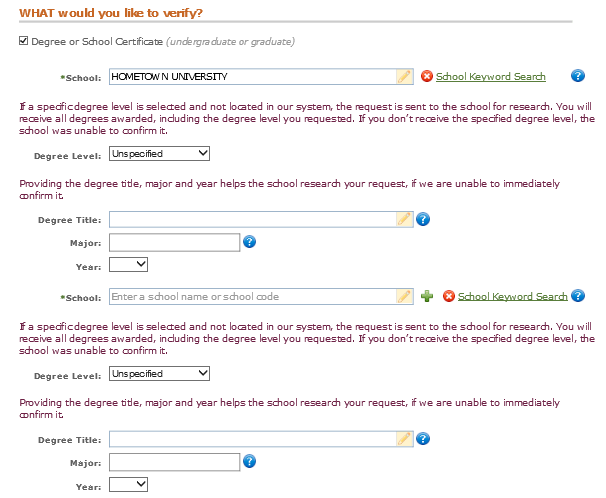 To verify information for more than one school under the same request type (e.g., degrees earned from two schools), click the button next to the School field. To delete the additional school, click the button. You can add or delete extra fields for all request types.